The Department of Environmental Protection issued a draft guidance document that aims to improve public health, the environment and quality of life in all communities statewide. 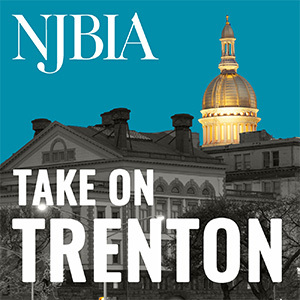 NJBIA previously met with NJDEP prior to the draft guidance being issued to relay comments from the business community. NJBIA will be submitting comments on the draft guidance. Please send any comments to Chrissy Buteas at cbuteas@njbia.org. Executive Order No. 23 calls upon all state government agencies to make environmental justice a key consideration in decision making that affects residents’ environment, communities, homes and health. The Governor’s goal is to ensure that every resident —regardless of race, ethnicity, color, national origin or income— receives equal protection under state laws and can live and work in a healthy, clean environment. The executive order, signed by Governor Murphy on April 20, 2018, directs the DEP to take the lead in developing environmental justice guidance for state agencies. The draft document culminates an interagency panel’s months-long effort to gather views and critical information on environmental justice from members of impacted communities, conservation and planning organizations, business and industry, and municipal and legislative representatives. The document can be found here www.nj.gov/dep/ej/eo23/docs/eo23-draft-guidance.pdf. To participate in the DEP’s 60-day public comment period and in any of three listening sessions the agency is hosting in the coming weeks. When: Feb. 5, 2019 – 2 p.m. -3:30 p.m. When: Feb. 12, 2019 – 6 p.m. -7:30 p.m. When: March 5, 2019 – 6 p.m. -7:30 p.m. Please find NJDEP’s press release here.